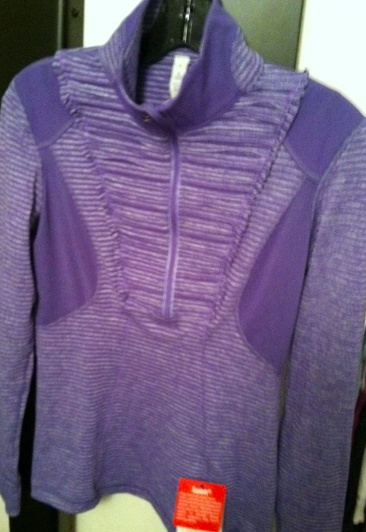 The new Run: Your Heart Out Pullover made as the same Rulu as the Run Around LS’s, Pique/mini check. Priced at $108. 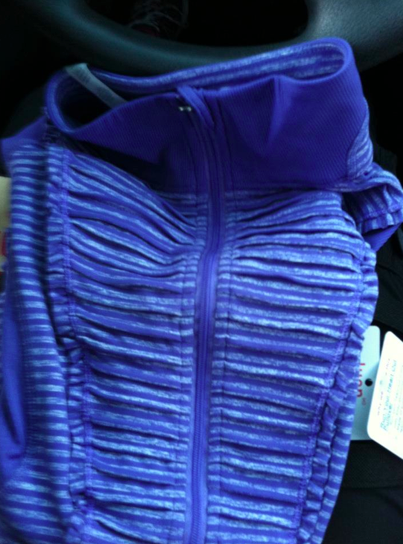 Bib, ruffles, contrasted circle mesh all over and up on the shoulders, a striped two tone pattern…yikes. This is pretty busy. "Upload Thursday Eve Refresher; Rehearsal Dance Capsule, Off The Mat Jacket, Gratitude Wrap, Run For It Pullover and Run Turn Around Items"